Ooooh Kamiko looks dope. I'll check that out. Thanks for the recommendations so far! I will check out these suggestions. I was a little disappointed in myself for buying Mario Kart 8 DX because I already had the game and season pass on Wii U and played the heck out of both. But it's pretty much paid for itself and more after tonight, because my three-year-old daughter was able to race in Mario Kart and have fun. Importantly, we both had fun. The auto-accelerate and course correction assists helped her to play as much or as little as she wanted without it really being a big deal. She got distracted halfway through a race by a movie that was on and completely forgot to steer, but the game kept her going and kept her on course. There wasn't that agonizing period at the end of the race when I'm done and waiting for her to finish but she can't drive in a straight line, but neither did she have her own race cut short because everyone else was done. I also didn't have to filter the tracks at all, so we could race on the F-Zero tracks as well as the Mushroom Cup ones. I'm pretty dang happy with it, and so is she. I've been playing MK8 with my 4yo daughter as well. I put us both on auto-accelerate and course correction, then purposefully lag back with her. She loves to get Bullet Bill, so we actually play against hard AI to ensure we're in the back and then finish nearly together. I love the kid-friendly mode. I'm in the same camp, my five-year-old daughter understands whats up but enjoys it nevertheless. The assists are really a great addition. Death Squared is really pretty fun. It's a local co-op puzzle game** where you and another player maneuver adorable cubes around obstacle courses and accidentally kill each other. A lot. The game is obviously inspired by the Portal games aesthetically, but it also takes inspiration from the experience of the co-op campaign in Portal 2. The mechanics are different, and players don't need a mastery of dual analog controls to participate, but the process of coordinating your movements and dying in hilarious ways is there in spades. My wife and I haven't finished it yet, but we've been really enjoying it so far. ** It's also playable as a single-player game and should be perfectly manageable that way, although I admit that I haven't tried it. That sounds right up our alley Clock, thanks for the rec! Blah blah blah. Try the battle modes yet? I know that battle mode is the best of all possible features, but I'm not interested. We've been playing MK8 with our 3.5 year old too. Which clearly is an excuse for the adults to play. But the kid really enjoys it "I'M WINNING!" I've been playing MK8 with my 4yo daughter as well. 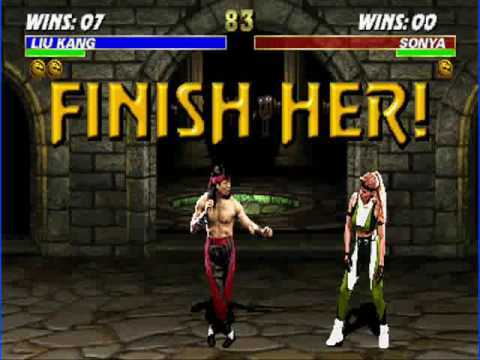 I don't care what thread I'm reading, I will always read MK as Mortal Kombat. That made this a very amusing line. Saw that Fast RMX got 6 new tracks added for free. Think I might buy it for myself this weekend for my birthday. I grabbed the demo and played through the Primrose path over lunch today and I'm sold. I have complicated feelings about the Primrose story, but the fact they're complicated instead of straight-up bad is better than I expected from the creators of Bravely Default. I'm really interested in where they go with her story. Hopefully the more problematic stuff is the backstory stuff you experience in chapter 1. It definitely has a Game of Thrones feel to it starting out which not everyone will like. I do really like where they left it at the end of chapter 1, and it could go interesting places. Yeah, the knight chapter is less interesting in most ways. There is a potential that story could get good. It's fun to team up ulmeric or whatever his name is and primrose. Having a party is nice. I went through the little bonus dungeon, but if there was a boss, I couldn't find it. I played through Primrose's chapter on the demo over the weekend too, and I really resonate with RoughneckGeek's thoughts. The gameplay was beautiful. I like the Break/Boost system 10x more than the Brave/Default system. It played super smooth, crisp and exciting. The particle effects along with the multiple attack animations for boosted attacks really sold me on it. I really wanted to play hours and hours more of the game. I'm hoping that in the full game, Primrose's story gets better, and I'm also hoping for other great stories and characters from the ones not in the demo. Did I miss a save option in the Octopath demo? I did the knight first, went through all the intro and tutorial stuff, and apparently did something wrong in the first real fight with the bandits. I got killed, and the only option was to return to the title screen. I miss clicked on New Game, then couldn't find a way to to continue. Looks like I'll have to repeat the whole intro sequence, which, well frankly, I won't do that. Save points are the green bard-looking dudes. I don't think I saw any of those. I'm gonna hope that I missed something, because I really hate games that make you walk through long sequences for failing something on your first try. I want to like this game, but I'm super turned off on it right now. There's one in the town. It's either near the top or in the lower right part past the village elder near the shop. I forget exactly where. Here's a silver lining for you: rather than playing Olberic you can give Primrose a go. I know. It's more that for me, the fact that they released a demo that allowed you to pretty easily get into a situation where you have to completely restart suggests that they're designing with blinders on. It should be basic stuff to ask yourselves "what happens if the player dies in this first battle?" Then you either make sure to point them directly to the save point before the fight (they totally didn't), or have a checkpoint just before the battle. Assuming that the player will definitely succeed, and not making sure that failing isn't a really annoying experience makes me wonder how many other things they didn't think about in the context of the full game. I mean, it's also reasonable to say that this is obviously an early demo. But at the same time, this is the first experience many people will have with your game, so wouldn't you want to make sure that's as polished as possible? I feel like that just comes with the JRPG territory. My impression is a lot of people consider Persona 5 the current standard of quality for the genre. It will definitely yank a couple hours of progress from you if you aren't diligent about manually saving and then lose a battle. There are 3 save guys in the Olberic Campaign(up to where I played). One by the Inn which is right by the road that leads out of town. One up the mountain maybe halfway, and one right before the boss fight. I stopped after the boss since I got the idea and didn't want to spoil any more. This is exactly how old JRPGs worked and so I'm sure they're just sticking with that design. That said, most games use a floating crystal or a glowing circle or something to signify the save, having it be an NPC is a little bizarre. Just because old games did it one way is no reason to keep doing it that way, especially if it's punishing to the player. I'm finding I have little to no patience with games that don't respect my time. I think having a kid and only having short opportunities to play will do that. If Octopath is going to be that way, then maybe I'll take a pass on it. For reference, where I got killed was the first fight with bandits in the town. I was focusing on one because I hadn't grokked how many turns the break mechanic removes from enemies. I kept hitting the big guy, hoping to burn him down, and the little guys chipped me down to nothing before I killed anyone. I'm not sure if there was a save person before hand, but since the game said "Go fight the bandits! ", then started a fight as I was exploring town, I don't think it was necessarily my fault that I didn't find him. Especially since I didn't even know if this was a save point game or an autosave game. Yeah I think you should take a pass on it for now. You certainly don't sound willing to deal with the classic design decisions and I can't say I blame you either. But who knows, they might be getting tons of that feedback and you'll see a more modern 'save anywhere' system implemented. I think I'm more annoyed that they didn't say " yo, this is how you save" before putting you in a fight that you can lose. If I know how to save and don't, that's my fault. If I don't know how to save or can't, that's your fault. I feel your pain, Chaz. They should just checkpoint you before each battle. A good battle system will have each battle feeling like a puzzle. So, the fun isn't so much in winning or losing as solving the puzzle. Punishing you for failing doesn't do anything positive or feel rewarding. It just makes you mad once you waste time redoing content and the battle you failed. The failed battle is generally easy the second time through because you know what went wrong. Cosmic Star Heroine did a great job of checkpointing before every battle, not just the boss battles. At least there are numerous save points in the Octopath demo. Or Dark Souls for that matter. That said, most games use a floating crystal or a glowing circle or something to signify the save, having it be an NPC is a little bizarre. Not terribly bizarre. Bravely Default also uses an NPC for saving and there are plenty of other notable exceptions over the years. On primrose path there is. You come out on roof, listen in on a conversation, and you come out of the cutscene right beside the save guy. The game pops up tutorial reminding you to save. RE: saves being a character, not an object. The game very heavily points the player to talking to everyone to find out the benefits of using the special ability with them. Ignoring that one thing the game is saying it is all about is one's own fault. Also, and this is the real point I want to make, essentially addressing Chaz's concern of 'designing with blinders on' is that this is a demo where they are specifically ASKING for feedback. Go give your feedback, people! They give fields to type in your good, looking forward to, bad, and worst things. I even got an email from Nintendo asking for feedback before I even had a chance to load the game (took me 3 days to get to it).